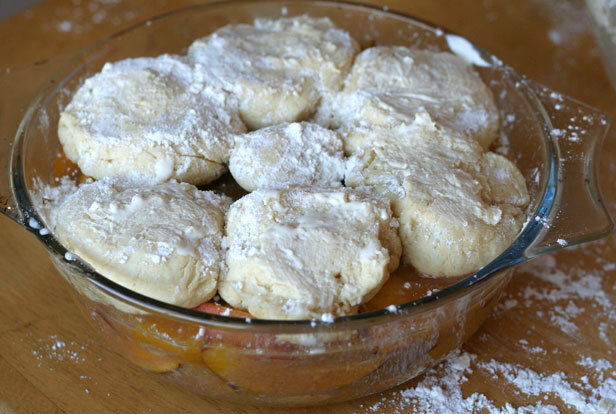 Today, while jamming to The Temptations, I made my first southern peach cobbler. 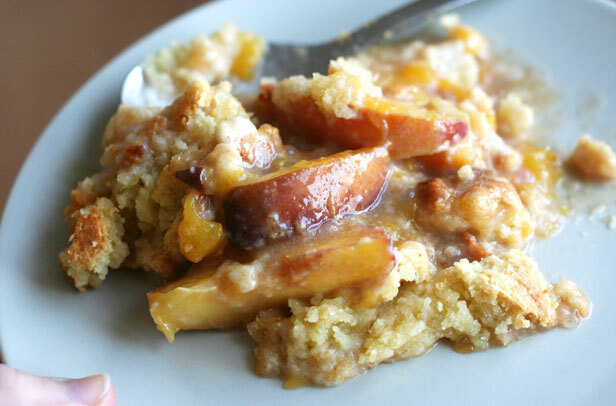 It tastes just like the cobbler I used to get at the Country Kitchen restaurant in my small hometown, i.e. it's delicious! So simple to make, this will definitely be a recipe I make again, over and over. And next time I'll try to be more patient and wait for my peaches to fully ripen. Preheat oven to 350°F/175°C. Butter a deep 2 1/2 quart baking dish. In a medium bowl stir together the filling ingredients. Pour filling into prepared baking dish. In a large bowl, prepare the topping. Whisk together the flour, sugar, baking powder, and salt. Cut in the butter and mix with your fingers until it resembles coarse crumbs. Slowly pour in the cream and stir until dough just comes together. On a lightly floured surface, pat the dough together. Form 2-inch balls and flatten them slightly. Evenly arrange the dough rounds on top of the filling. Brush lightly with cream. Bake ~40 minutes or until golden brown and filling is bubbling. 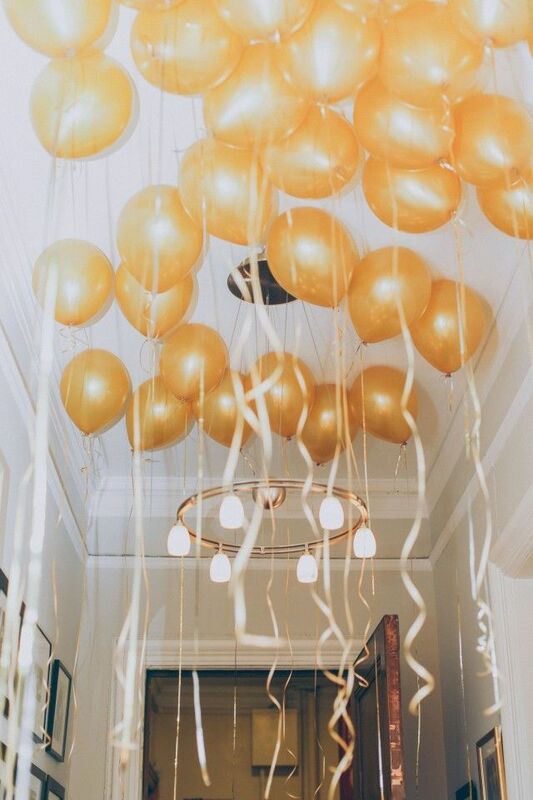 Link your Thursday adventures up at my sister's blog, Alicia's Homemaking. Wow this looks amazing and not too hard, thanks for sharing! Also, your food photographs are amazing. Yum! My husband is a HUGE cobbler/pie fan. I'll have to make this for VDay for him. That'll be a lot of fun! You'll have to teach me some of your canning ways. Are peaches in season over there? That looks yummy! 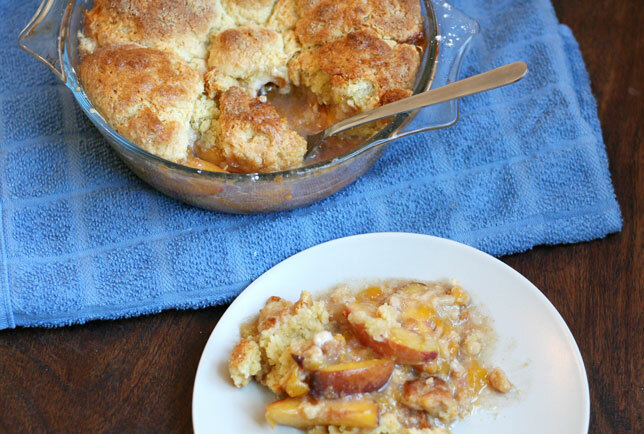 I think I've only actually had cobbler once or twice. 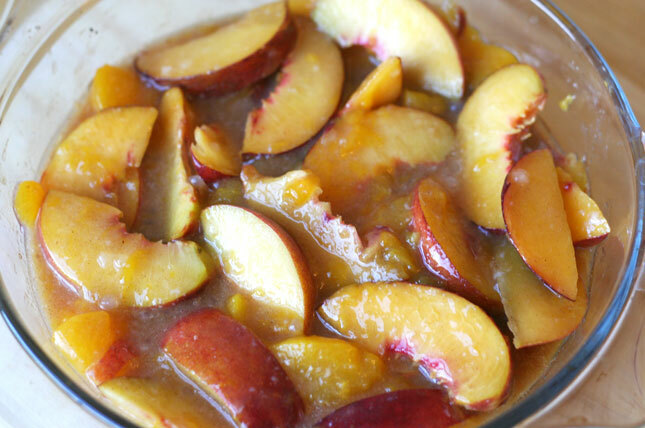 We'll have to wait for peaches to be in season here to try this recipe. 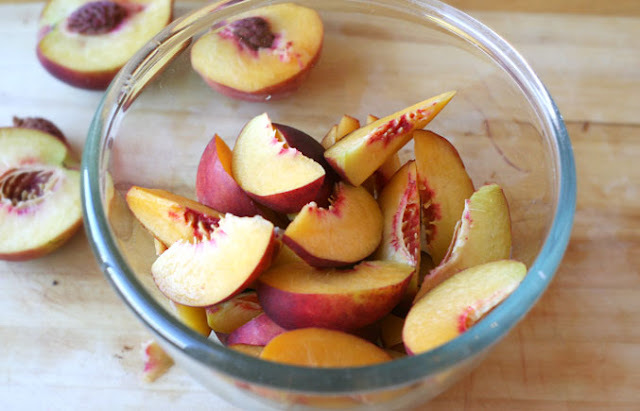 Usually we just eat them as it is, or make baked peaches. this looks delicious! yum! thanks for sharing. I thought I left a comment, but I guess not. Wordpress to blogger commenting hasn't been working well for me. =\ Anyway, I think I was going to say that I have never made this before, and are peaches in season over there? Once it comes into season here, I will have to try this recipe. Sounds yummy! Oh yummy! It's time I pull out my last jar of canned peaches and attempt this cobbler! Looks so so tasty that I know my husband would gobble it up in one sitting! I tried the recipe with canned peaches and it was delicious!! Totally recommend that.